Quote 1: Always be yourself, express yourself, have faith in yourself, do not go out and look for a successful personality and duplicate it. Quote 2: Mistakes are always forgivable, if one has the courage to admit them. Quote 3: I fear not the man who has practiced 10,000 kicks once, but I fear the man who has practiced one kick 10,000 times. Quote 4: If you love life, don’t waste time, for time is what life is made up of. Quote 5: A wise man can learn more from a foolish question than a fool can learn from a wise answer. Quote 6: If you always put limit on everything you do, physical or anything else. It will spread into your work and into your life. There are no limits. There are only plateaus, and you must not stay there, you must go beyond them. Quote 7: I’m not in this world to live up to your expectations and you’re not in this world to live up to mine. Quote 8: Knowledge will give you power, but character respect. Quote 9: Notice that the stiffest tree is most easily cracked, while the bamboo or willow survives by bending with the wind. Quote 10: If you spend too much time thinking about a thing, you’ll never get it done. Quote 11: The key to immortality is first living a life worth remembering. Quote 12: Take things as they are. Punch when you have to punch. Kick when you have to kick. Quote 13: A quick temper will make a fool of you soon enough. Quote 14: As you think, so shall you become. Quote 15: Showing off is the fool’s idea of glory. Quote 16: To hell with circumstances; I create opportunities. Quote 17: Real living is living for others. Quote 18: It’s not the daily increase but daily decrease. Hack away at the unessential. Quote 19: Do not pray for an easy life, pray for the strength to endure a difficult one. Quote 20: Be happy, but never satisfied. Quote 22: Don’t fear failure. — Not failure, but low aim, is the crime. In great attempts it is glorious even to fail. Quote 23: If you don’t want to slip up tomorrow, speak the truth today. Quote 24: Knowing is not enough, we must apply. Willing is not enough, we must do. Quote 25: A good teacher protects his pupils from his own influence. Quote 26: For it is easy to criticize and break down the spirit of others, but to know yourself takes a lifetime. Quote 27: The More we value things, the less we value ourselves. Quote 28: Life’s battles don’t always go to the stronger or faster man. But sooner or later the man who wins, is the man who thinks he can. Quote 29: Those who are unaware they are walking in darkness will never seek the light. Quote 30: All knowledge leads to self-knowledge. In Hindi: सभी ज्ञान आत्म – ज्ञान की ओर ले जाता है. Quote 31: The idea is that flowing water never goes stale, so just keep on flowing. Quote 32: Preparation for tomorrow is hard work today. 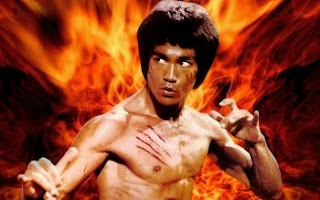 Quote 33: ‎The successful warrior is the average man, with laser-like focus. Quote 34: The possession of anything begins in the mind. Quote 35: If I tell you I’m good, probably you will say I’m boasting. But if I tell you I’m not good, you’ll know I’m lying. Quote 36: Remember no man is really defeated unless he is discouraged. Quote 37: Practice makes perfect. After a long time of practicing, our work will become natural, skillful, swift, and steady. Quote 38: Do not allow negative thoughts to enter your mind for they are the weeds that strange confidence. Quote 39: Put ‘going the extra mile’ to work as part of one’s daily habit. Quote 40: Never trouble trouble till trouble troubles you. I’ll not willingly offend, nor be easily offended.